Established in 1925, the ‘Cité Internationale Universitaire de Paris’ aimed to foster cultural diversity and to address the lack of accommodation for undergraduates in the capital. Thirty-seven housing facilities for as many nations – or « Houses » – were thus built between 1929-1969 to accommodate students from the entire world. Architect Lucio Costa, entrusted as of 1952 with the building of the Brazil House within the ‘Cité Universitaire Internationale’, called upon Le Corbusier to work with him on a joint project including a 100-room residence, a theatre, a library and a meeting room. 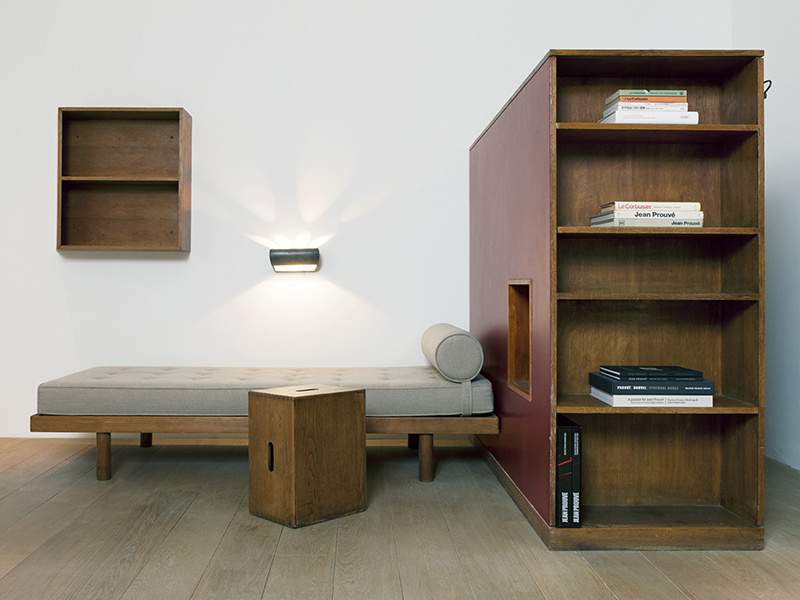 Le Corbusier, with the participation of Charlotte Perriand, also carried into effect the furnishing of individual rooms in the student residence. The resulting furniture was multifunctional and characterized by its stern, clear lines, softened by splashes of color. Created in a context of stringent budget restrictions, this individual student room was the culmination of a process of reflection undertaken since the 1920s by Le Corbusier around the concept of “cell” and on the study of rationalization and the economy of living spaces. The Brazil House at the ‘Cité Internationale Universitaire de Paris’ was inaugurated on June 24, 1959.